One of the first things Phoenix homeowners discover is the importance of an efficient HVAC system – including excellent heating and cooling. Getting the temperature you want, when you want it, isn’t just about comfort – it’s also crucial to saving more money. Your furnace and central air systems are two of the most prominent contributors to your energy bill. Knowing that, getting a new furnace and central air conditioner installed is a sound investment for virtually any Phoenix home. The sooner you do it, the sooner you can start to achieve the savings that are only possible through top-quality natural gas systems. 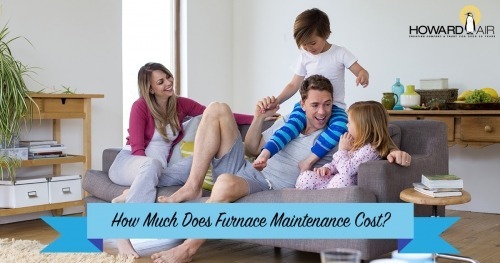 When thinking about new furnace cost, it’s vital to make savings part of your calculations. As heating and cooling systems get older, they naturally become less efficient and more prone to breakdowns. Although regular maintenance can significantly extend the life of most systems, a newer model incorporates more sophisticated energy saving technology. You and your family can more easily maintain comfort whether in the summer or winter. This is a common question, but there are several factors to consider. 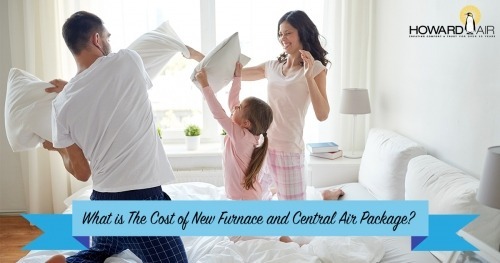 First, while there are many different brands to choose from, Carrier furnaces and air conditioners are designed to offer you the highest performance and the lowest overall cost of ownership. In the long run, a Carrier system is simply better – which is why we carry them at Howard Air. When you compare Carrier directly to other brands “on average,” it may seem to be in the middle of the pack on price. However, you are getting a level of craftsmanship that will save you time, money, and hassle… both regarding maintaining your system and in overall power costs. According to data gathered by HomeAdvisor, installing a new furnace can cost anywhere from about $2,500 to more than $6,000. While the national average hovers around $4,200, metro areas like Phoenix, Arizona, often see somewhat higher prices. By choosing Howard Air, you have the opportunity to find a heating and cooling solution that works for you. We offer competitive rates with big savings when you bundle a new furnace and air conditioner. For a free estimate, contact us today.